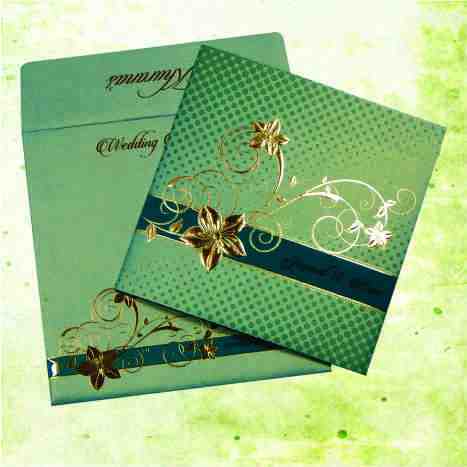 ENVELOPE : Cream Color 250 gsm Shimmery Finish Paper With Gold Color Printing. Design Has Emboss Effect. MAIN CARD : Cream Color 250 gsm Shimmery Finish Paper With Gold Color Printing. Card Decorated With Rhinestones/Kundan. Main Card Has A Gold Color Pocket. All design Printed With Emboss Effect.